My Winter Skin Care Savior! Along comes winter with the cold weather and off goes my natural glow! Time to switch up the skin care routine for something more hydrating and nourishing. 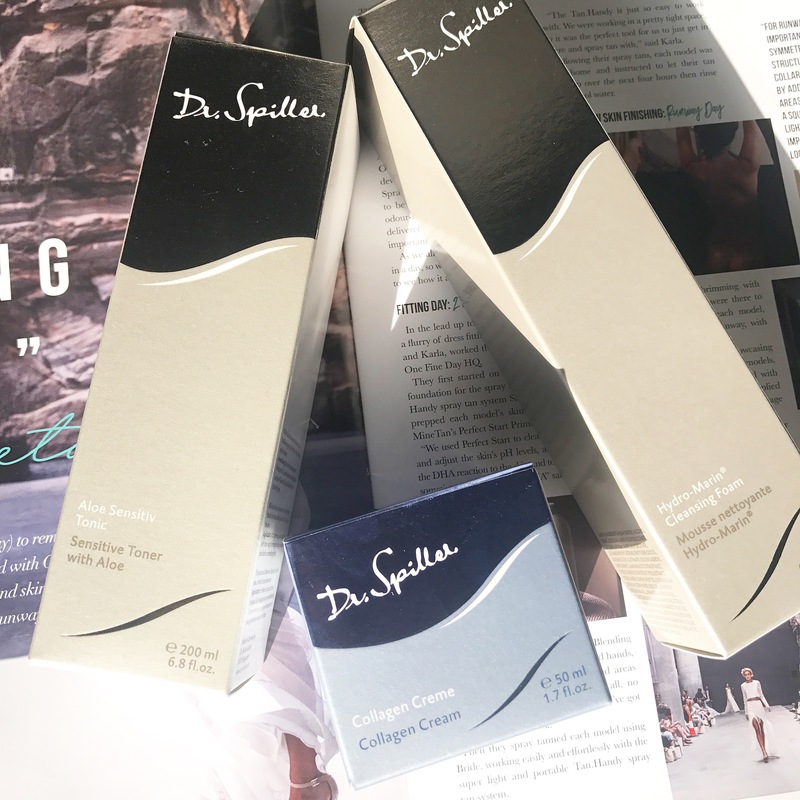 My skin is normal – dry at the best of times and as soon as I get hit with the winter weather I get really dehydrated and dry! This year I wanted to get on top of it straight away and keep my glow alive because let’s face it.. Your makeup is only as good as the base you are putting it on! So I cannot stress enough how important it is to look after your skin. 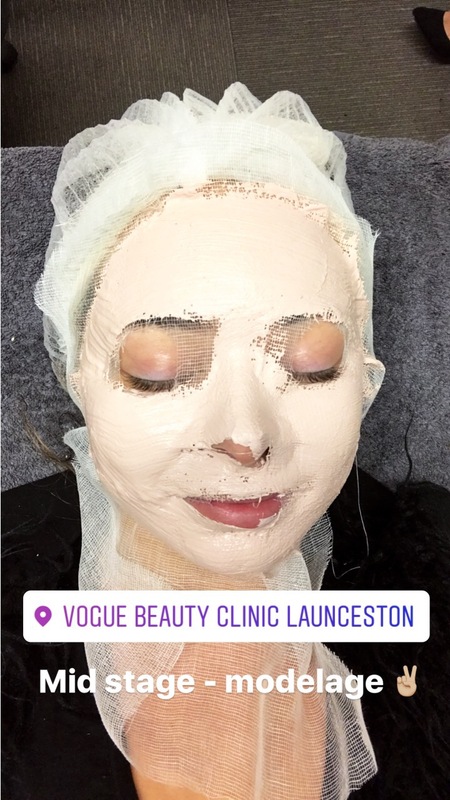 I went and saw the babes at Vogue Beauty Clinic at The Charles and had them give me a skin consultation to see what the best products would be for me and then treated myself to a facial! BEST THING I EVER DID! I will run you through the process of the facial..
My beauty & skin care specialist Hannah examined my skin and realised it was congested so she started with a double cleanse and then did a Enzyme peeling mask under steam (aaaaamazing!) This is gentle on the skin but lifts as well as brightens and makes everything softer for extractions. After this she used a high frequency (very antibacterial) on my skin to stop anything from spreading. Hannah then infused a thymotive E ample into my skin for hydration and massaged this with a skin function oil. One of the last steps was the Modelage beauty mask (these are unreal and so good for you!) it is a thick “clay” like mask and sets on your skin like plaster while the skin underneath heats up. Lastly she applied moisturiser and BB cream.. VOILA we were done and not blowing my own horns but I looked a million dollars! I loved how my skin looked so much that I didn’t apply makeup for the whole weekend afterwards. Definitely reccomended booking yourself in for a facial it’s a real game changer. I am booked in for another facial in a couple of weeks, I can’t wait! I will keep you guys updated on my skin care journey. 2 days after facial with full face of makeup! Vogue have been so nice to offer anyone who books a facial after seeing my blog post FREE EYEBROW THREADING. 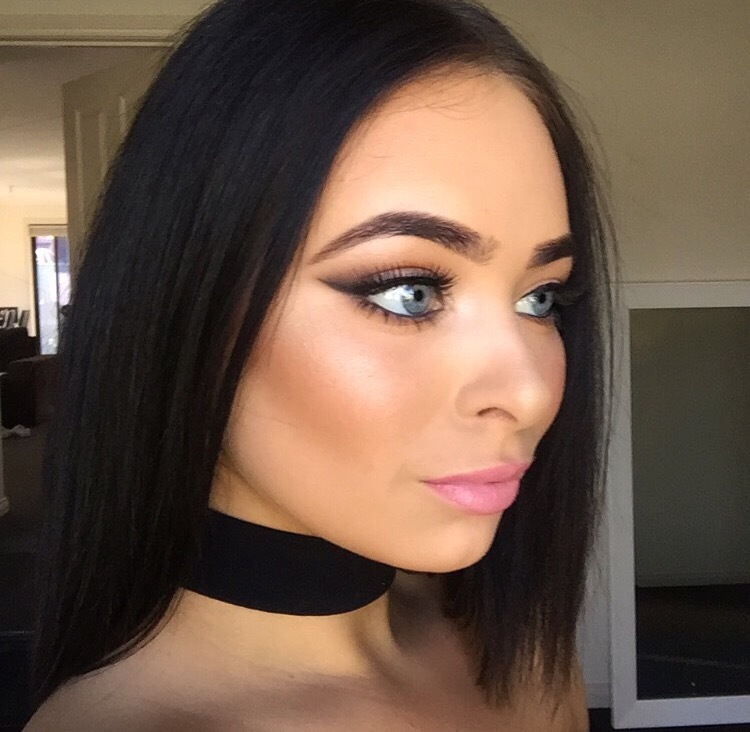 I am back with another makeup post, today I will be writing about my go to special occasion eye makeup. This is the look I will always create when I am unsure what look to go for but I want to look glam. It’s quick and also easy to do! 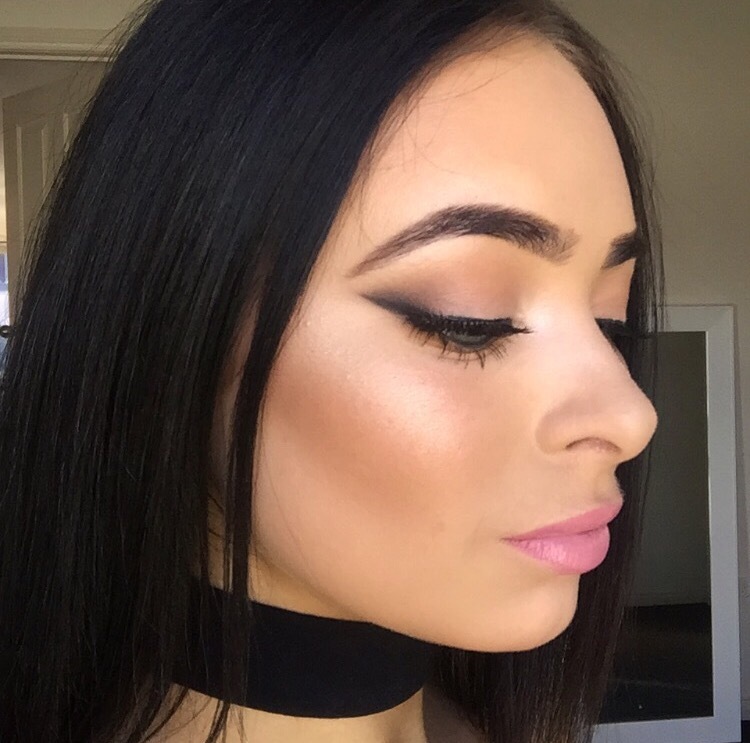 It’s a basic smoked out wing with some glam lashes. I always do my eyes first when doing this look as I will be using black eyeshadow and don’t want any fall out on my foundation. I prime my eyes with Mac paint pot in “Painterlilly” and set this with translucent powder. 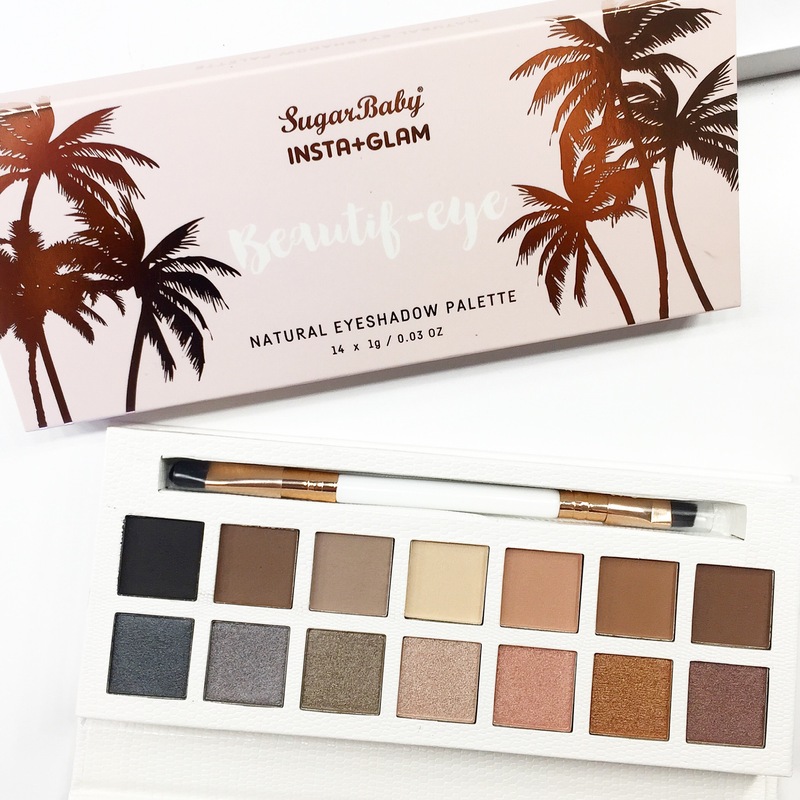 This sets up a flawless base and pro longs the wear of the eyeshadow. To get the sharp wing I use the trick of sticky tape! 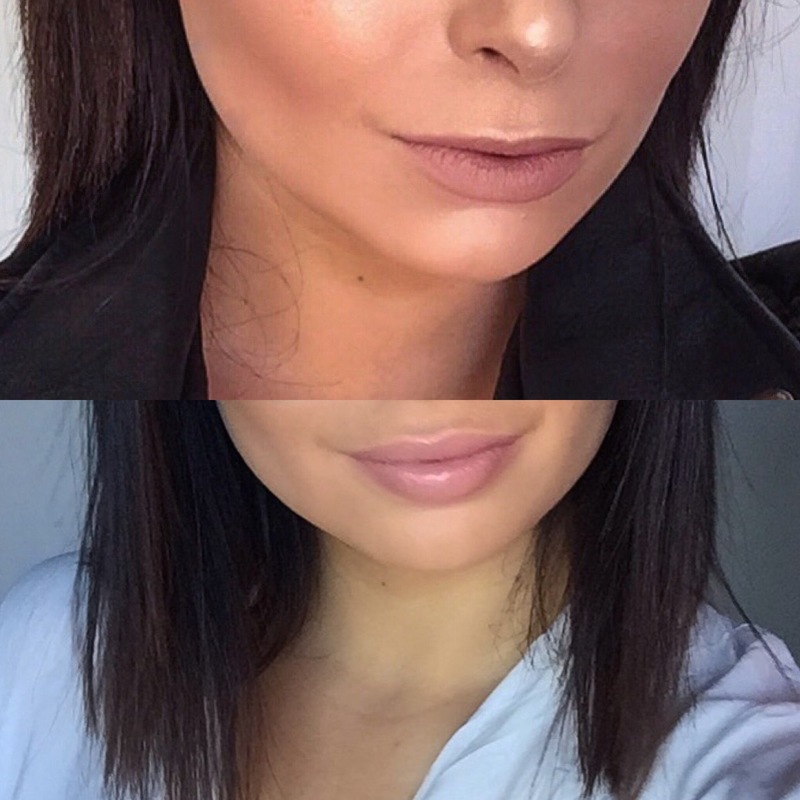 This is the best hack for makeup I think haha. I cut a small piece of tape and place it on the outer corners of my eyes pointing towards the end of my eyebrows to give me a straight and sharp line. As mentioned earlier this look is very simple I only use four eyeshadow colours all from Makeup Geek. I firstly take “Peach Smoothie” and I blend this all through my crease. After this I take “Cocoa Bear” on a smaller blending brush and focus this more on the outer corner of my eye but still blending slightly into the crease. It is then time for the black eyeshadow I use a small precision brush and place the colour “Corrupt” directly on the outer corner creating a wing. I start to blend the black with “Cocoa Bear” to give the smoked out look. I will go in again with “Corrupt” on an angled brush now and draw a more precise wing along the line of the sticky tape. I finish off the blending process by taking “peach smoothie” through the crease one more time to make sure it’s all seamless. The last eyeshadow I use is “Shimmer Shimmer” as a brow bone and inner corner highlight. I then pull off the tape and have the perfect smoked out wing! As I will be wearing false lashes I do a small line of eyeliner on my upper lash line to hide the band. I use Mayebelline Hyper Sharp Wing Eyeliner for this as it has a small felt tip and is super easy to apply. The eyelashes I am wearing on this particular occasion are MODELROCK #236 but I will wear any lashes from MODELROCK my favourites are : #236, #212 & #259. To balance out the look I will apply some eyeshadow to the lower lash line. I start by putting “Corrupt” into my water line as this will make your eyes pop! I smoke this out with “Cocoa Bear” on a small definer brush and keep this really close to the lash line. Lastly I use “Peach Smoothie” on a large blending brush and blend both the colours. To finish of the look I will apply a couple of layers of black mascara to the lower lashes, I pack this on quite heavy! I used Benefit “They’re Real”. That is the eye look completed! As I have done this on many occasions now it only usually takes me around 10 minutes and I think it looks amazing and makes my blue eyes standout. It also suits any lip colour as the colours are all very neutral, in the pictures I am wearing “Snob” by Mac. Hi everyone! Long time no talk, I have missed posting on here so much and as today is a public holiday here in Launceston I thought I would take advantage of it and write a well overdue blog post. 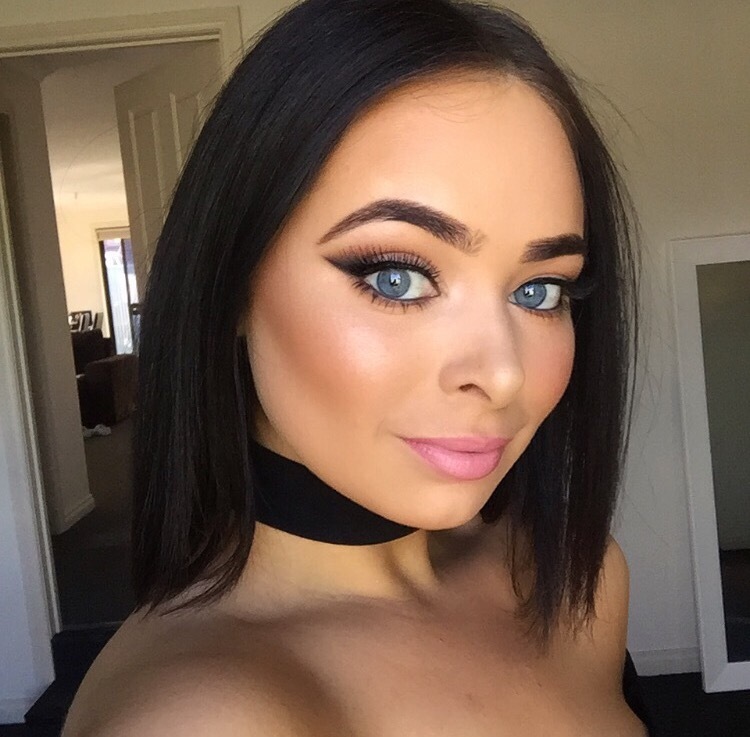 Today I am writing about my updated every day 15 minute makeup routine! I personally don’t have much time in the morning to apply my makeup before work so all the products I use are quick to apply and versatile. I also go for long wearing products as I am at work from 8am-5:30pm. After I have applied all my skin care I go straight in with my foundation – Maybelline Fit Me Matte & Poreless. 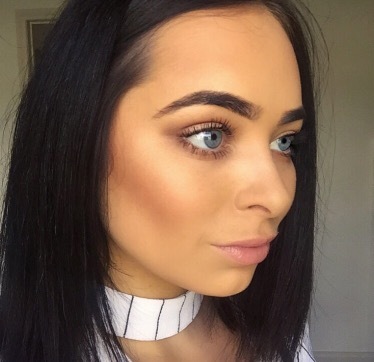 This is honesty my HG foundation, it looks amazing on th skin, keeping it looking as natural as possible while having a full coverage. I apply this with my Chi Chi Cosmetics blending sponge. I find this is the quickest and best way to apply my foundation and to be honest I never apply my foundation with anything other than this sponge. I then do my brows while the foundation dries and sinks into the skin. I use Poni Cosmetics Brow Brush and a powder from Booki Brow. I don’t need to do much to my brows as I get them threaded and tinted regularly. 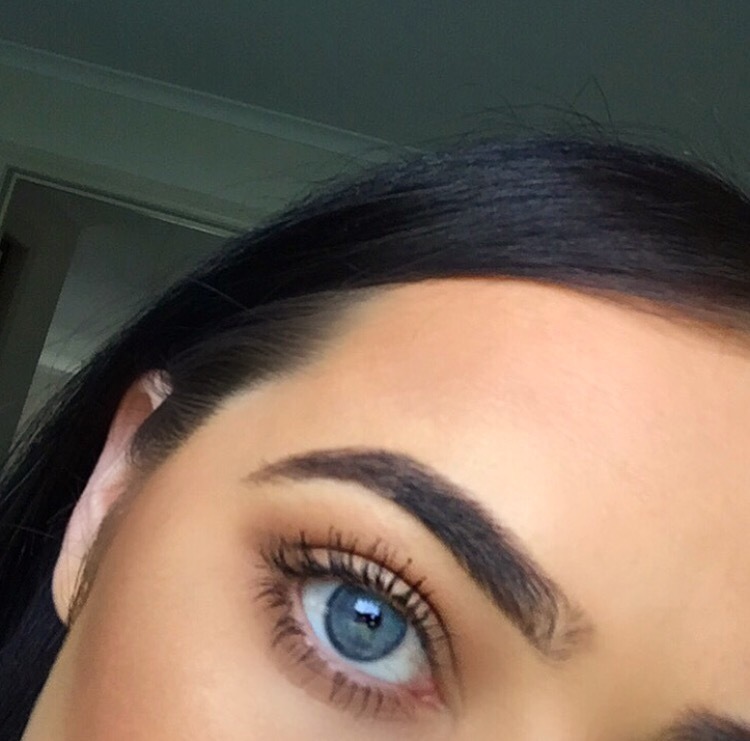 I usually only spend 1-2 minutes on my brows! I go back to my skin and start bronzing myself up to look sun kissed and healthy. I use Too Faced Chocolate Soilel in Medium-Dark. 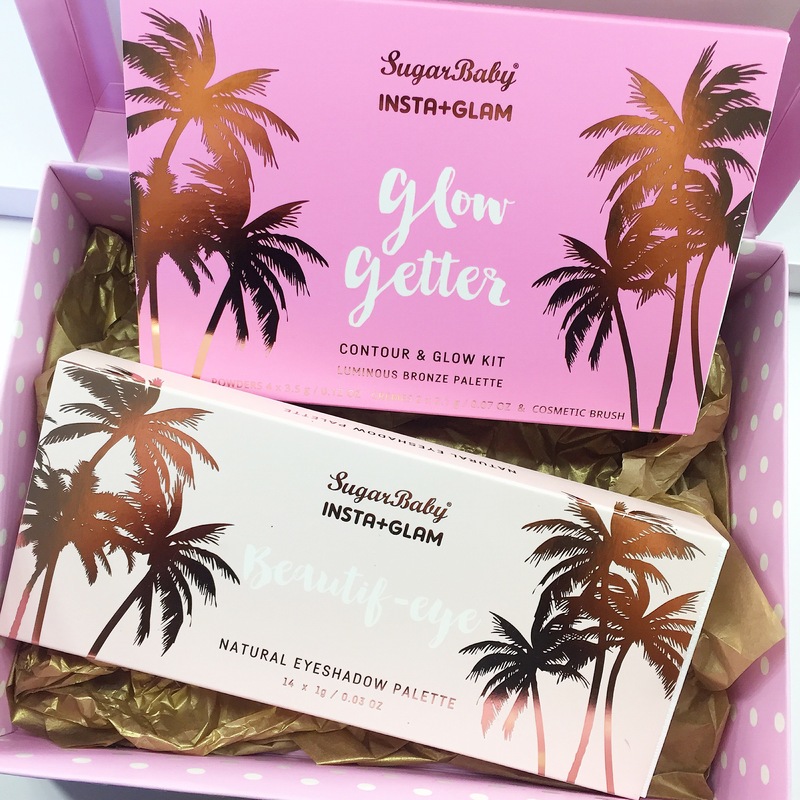 This is a smooth bronzer which blends out very quickly! 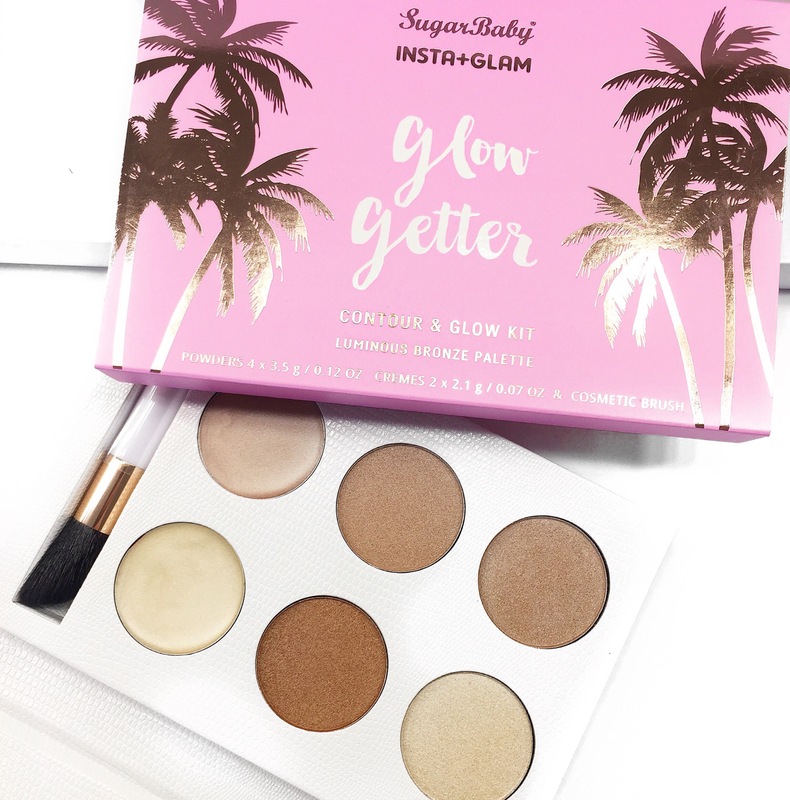 I also use this bronzer for eyeshadow and blend it through my crease with a large fluffy brush, this literally only takes a minute and makes a world of difference to my overall makeup look! I then grab whatever mascara I am loving and at the moment I am using Poni Cosmetics – White Knight Mascara. This is a great mascara as it has the two wands, one for length and one for volume. I apply a layer of each on both eyes and I apply this generously! I cannot live without mascara it opens your eyes up so much and makes you look more awake. To finish off the skin I use some highlighter on the tops of my cheekbones and also down the bridge of my nose. I use Moonstone by Becca and I find this gives you a nice glow without being too over the top for everyday wear. 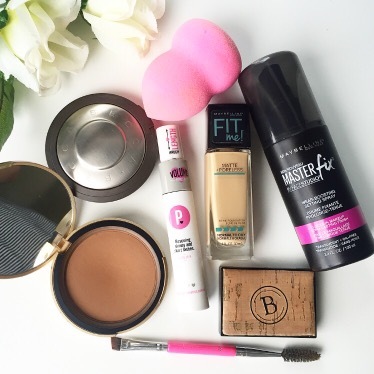 I finish the whole look by spraying my face with a setting spray from Maybelline – Master Fix. This settles any powder I have applied and melts it into my skin to look more natural and also sets my face for the whole day. 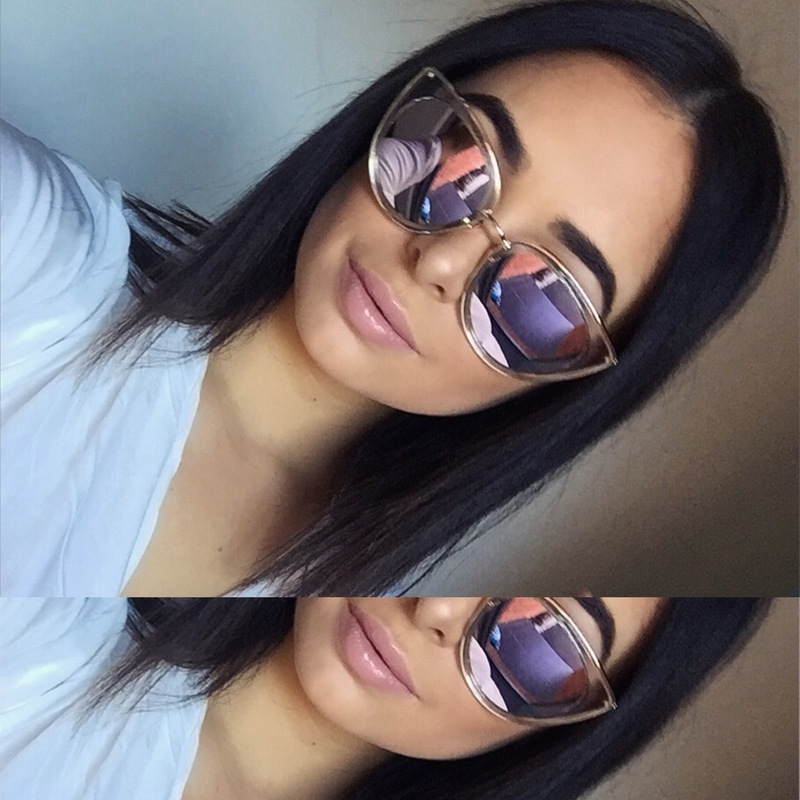 And voila … That is my everyday look complete! On my lips I’ll just use whatever lip balm I have on me or a butter gloss from NYX in either Creme Bruleè or Eclair. A little tip from me – If you need to touch up throughout the day just use the beauty sponge you applied your foundation with. This soaks up any oils and it will have some foundation on it still so it will fix the coverage without caking your skin. I hope you have enjoyed this post and stay tuned as I will be posting a lot more! I also have some exciting news which I will talk to you all about soon. Working at a car dealership can be so rewarding but at the same time very dangerous… you have so many shiny new temptations around you! By shiny new temptations yes I am talking about the cars. I am a sucker for European cars, I think they look sophisticated and are superior to their competitors. I am lucky enough to have been able to drive one of the new Fiat 500X (pop) a couple of times now and each time I fall more in love! A bit of back ground on Fiat: Fiat was established in 1899 and their first factory was opened in Turin the following year. In 1957 Fiat released their famous 500 called the Nuova, it was a cheap and practical car. 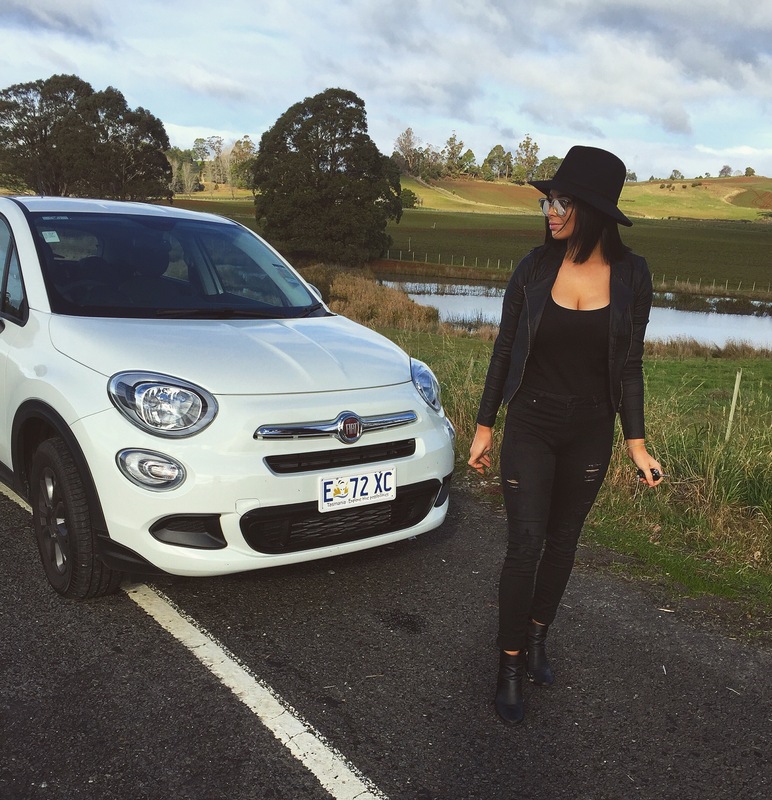 Fiat has always been extremely popular in Europe but over the years the brand has began to slowly gain a larger crowd around the world and even now in Tasmania. In 2015 Fiat released the modern and updated 500X. It is described as a “one-two punch” having off-road capabilities while still having a city look. The model I was driving was the entry level called the: POP. Although it was entry level it didn’t hold back on all the extras and safety features. The Pop has a 1.4L turbo engine with a nine-speed automatic transmission this makes for a very zippy car around town with a smooth automatic transition. I get to drive a lot of cars at my work and the 500X would easily be on of my favourite cars to drive. Its the perfect size and gives you a little more height of the ground in comparison to other small cars. Parking is a breeze also as you have parking sensors and also a reverse camera. Don’t worry about safety either as the 500X has a 5 star ANCAP safety rating! My absolute favourite feature of the 500X is the sound system.. Ever heard of Beats by Dr. Dre? Well yup, that is the sound system that comes with this car! There are nine speakers which produce amazing quality sound. 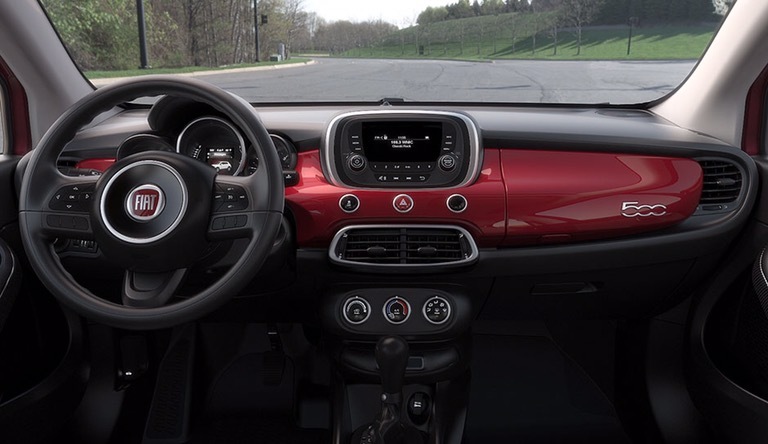 The 500X Pop starts from only $26K drive away which is an extremely competitive price. If you are looking at updating your car soon then I would 100% recommend going to your closest Fiat dealer and test driving a 500X. I recommend getting on to the Fiat website and having a look through all the model ranges and also the great interior view feature, it gives you a 360 degree tour of the interior! The interior is very stylish and practical also. 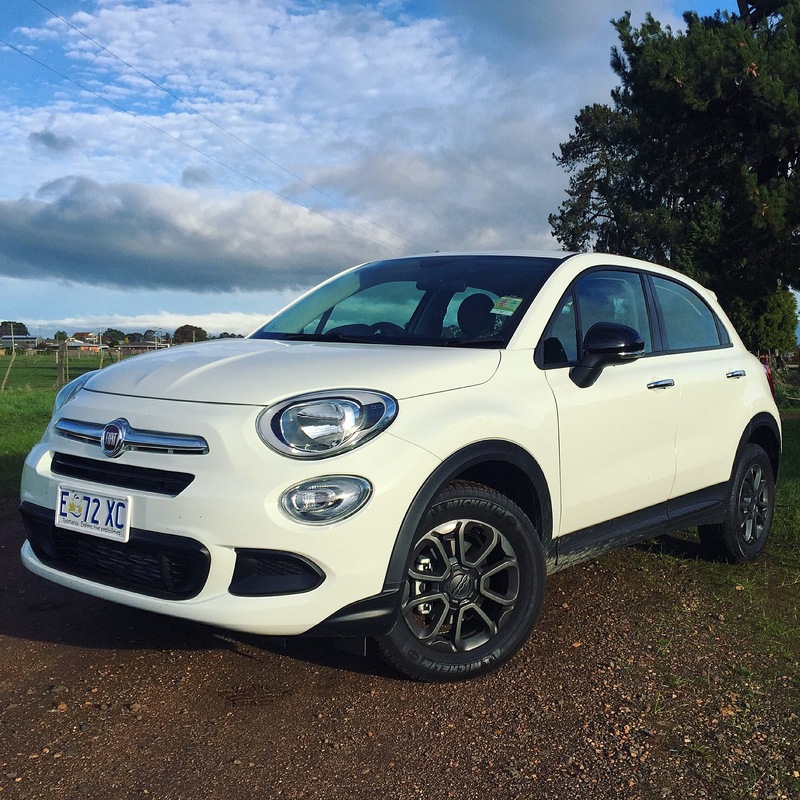 If you have ever driven a Fiat 500X or if you are lucky enough to own one I would love to know your experience and thoughts on the vehicle, leave a comment on this post. 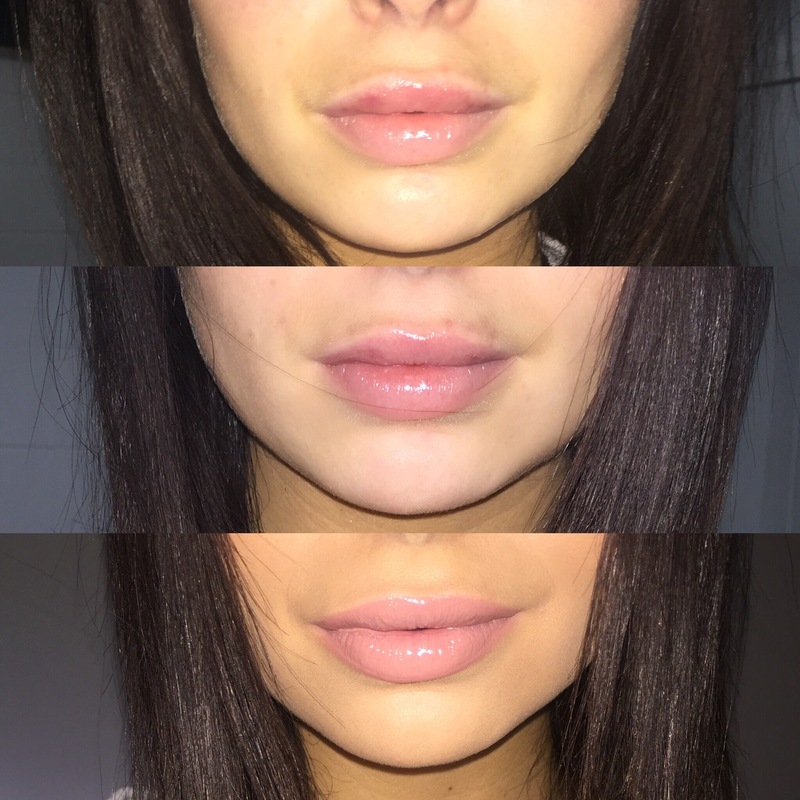 After months and months of contemplating getting lip injections I finally put the phobia of needles aside, did some research and made it happen. Living in Launceston, Tasmania there are not many places you are able to go and get this treatment done so I was looking at going interstate until I found out one of my favourite beauty salons Vogue at The Charles actually had a very professional and experienced Nurse Injector travel down once a month from her salon in Sydney to do non-surgical facial treatments. I was wrapped I could get it done locally! 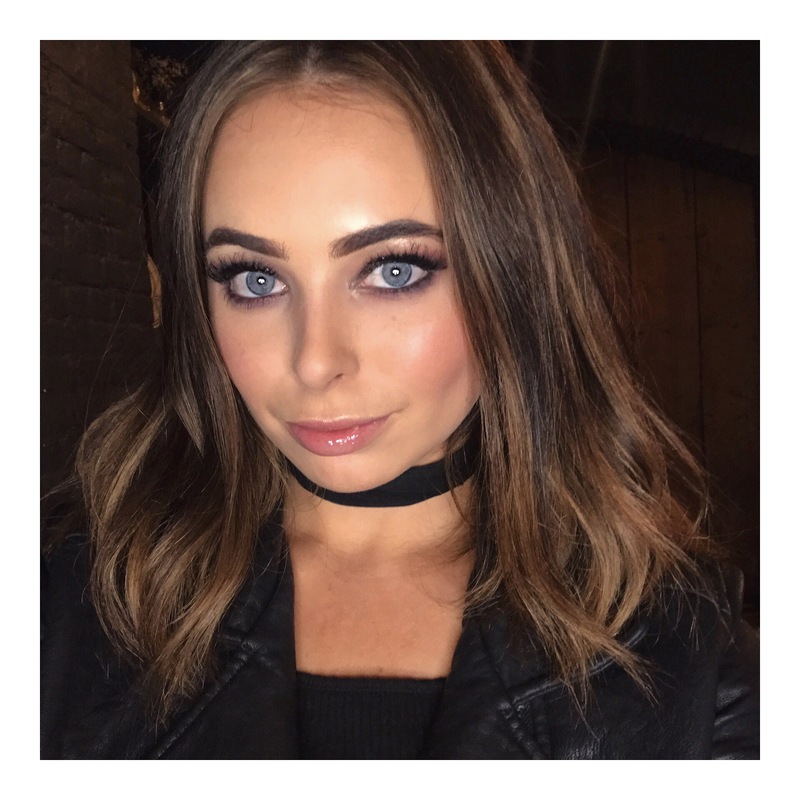 I have been to Vogue on numerous occasions for a few different treatments and I can not fault their quality of service and attention to detail. I was pretty nervous after arriving at Vogue but after meeting my nurse Francine Ithier (Owner of Miss Franc) my nerves had calmed a little. She did a consultation with me and I spoke about what I wanted and what I did and didn’t like. We decided I would go for 1ml of Juverderm and she would even out my lips and give me a more plump look. After this Fran applied a numbing cream to my lips and I sat back and relaxed for around 15 minutes while the cream kicked in! The whole process of Fran actually doing the injections lasted only around 10 mins. 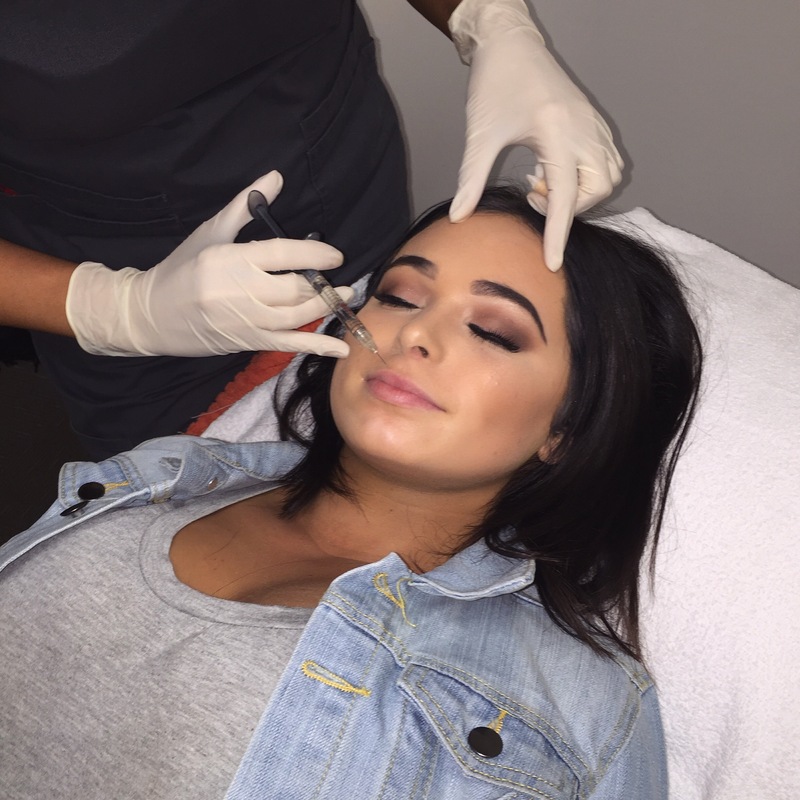 As mentioned I do have a phobia of needles so I sat there with my eyes closed the whole time she was doing the injections haha. I did take one of my best friends and she held my hand the whole time! Pain wise, you can still feel the needles its a pinch and a bit of a sting but nothing unbearable, the worst is the first couple of needles on your top lip. I would recommend not wearing any makeup there as mine was completely ruined by the numbing cream and then by my eyes watering! First glance in the mirror after the injections, to be completly honest, I wasn’t sure what to think. My lips looked totally different and it was a pretty big change so prepare yourself for that. I wasn’t in pain after they were done they just felt swollen and it was a little uncomfortable to eat and drink at first. The following 3 days I experienced a lot of swelling and bruising. I was able to cover all the bruising with makeup though. I have attached an image of my lips during the recovery, you will be able to see all the swelling in the top image especially on my top lip this was one day after. The second image was taken the following day you can see the bruising had come out a lot more, mainly on my top lip again. The bottom image was taken 5 days after the treatment with lipstick applied, I still had slight swelling on the top lip. I would say it took a bit over a week for all the swelling to completely go down and for the lips to settle and let you see the shape. There was hardly any pain while the lips were recovering, my lips just felt tight and they were a little dry so I would recommend investing in some pawpaw if you are looking at getting them done. I am so happy with the results that Fran has achieved with my lips. I think she had done a great job of evening them out, adding more volume and still maintaining a natural look. 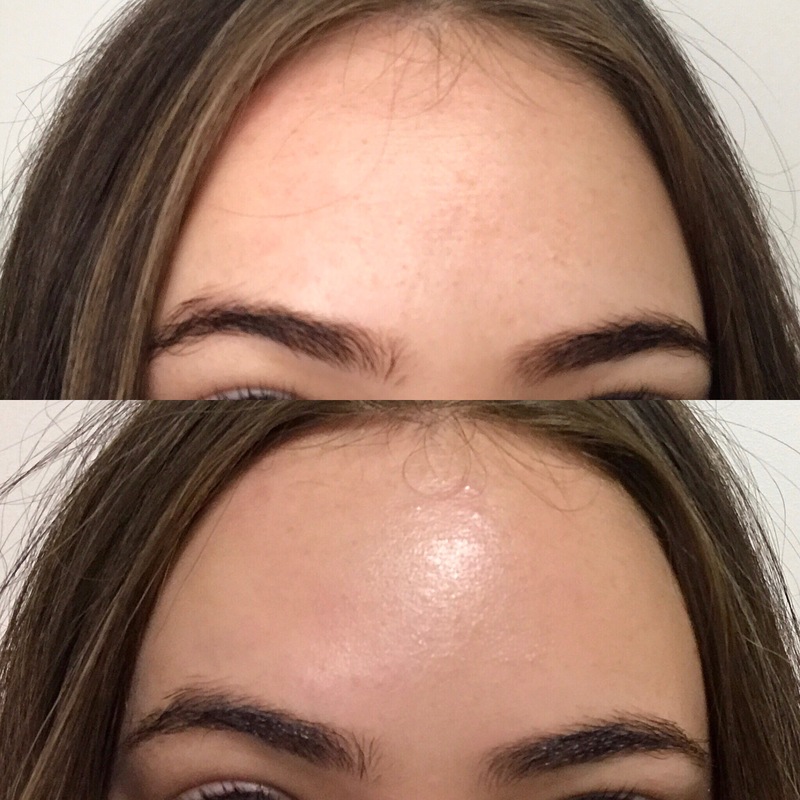 I am interested to see how long the fillers last as the first time they usually go down a lot quicker and need touching up so I will keep you all updated! I have had a couple friends of mine who have had their lips done by Fran and they all extremely happy with them also, so I would 100% recommend Fran & Vogue. I have attached links below to both of their websites if you are wanting to do any research or know any more information. Vogue & Miss Franc are lovely enough to offer my followers a discount if they are wanting to book in to get their lips done. All details will be on my Instagram page in the next few days so if you are interested follow me for all the details! Lastly below is a before and after image so you can see the difference. You will notice my top lip is a lot more fuller now! Frank Body Original Introudction Bundle Review! Today is a public holiday in Launceston so I decided I would spend my Monday morning relaxing with Frank! I used their Original Introudction Bundle which includes: Original Coffee Scrub & the Body Balm. The idea of this bundle is to scrub & then rub! 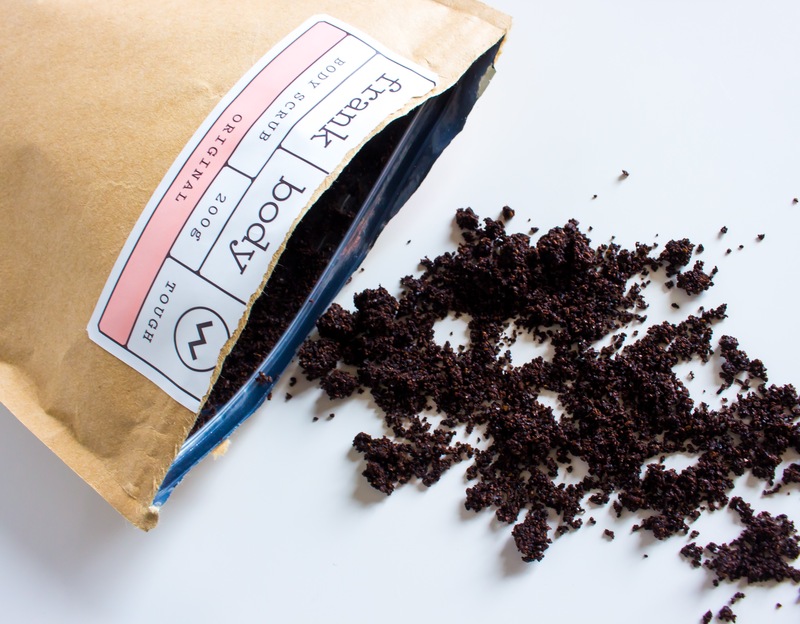 Franks Orginal Coffee Scrub is a special blend of all natural ingredients. Roasted & ground robusta coffee beans to stimulate blood flow targeting stretch marks, cellulite, scaring and skin conditions such as eczema and psoriasis. Cold pressed almond oil which promotes skin healing while hydrating and nourishing the skin and sea salt which reduces inflammation and targets skin conditions. As well as treating wounds, it removes dry, flaky skin! Get dirty and cover your body (I used 2 large handfuls). Get rough and massage the scrub into your body (leave for 5-10 mins). Get clean with a rinse. 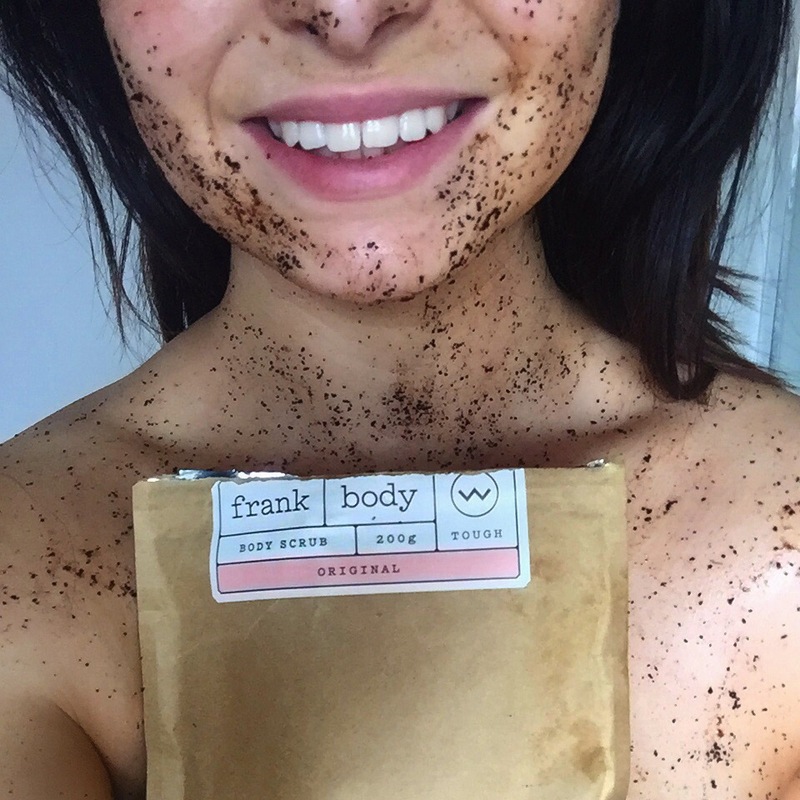 Frank coffee scrub makes your skin feel amazing and silky smooth! It gives your skin hydration and leaves you with a beautiful glow. It is hands down my favourite coffee scrub to date and if you are a fake tan addict like myself it is perfect for tan prep! Scrub the day before you tan and you will get a perfect application! I used 2 large handfuls of the scrub for my entire body and have plenty of product left so it is good value for money. Franks Body Balm will hydrate and nourish your skin long after you have scrubbed! It also smells delicious and spreads over your body like butter. This body balm works really well for dry skin, stretch marks and eczema as well and can be massaged daily onto problemed areas. Key ingredients; Coconut Oil, Grape Seed & Almond Oil, Coffee Arabica Seed Oil & Beeswax. This body balm is the richest and most nourishing body balm I have ever used! Please note a little goes a very long way. I applied a small amount to my entire body, the body balm may feel a little oily a first but just massage gently into your skin and you will be in love with the results. My skin literally felt as soft as a babies bottom hehe. I am obsessed with the combo of the coffee scrub & body balm and can’t wait to treat my body to another pamper time. My skin has honestly never looked and felt this good before! I recommend checking out the Orginal Introuduction Bundle it costs $37.95 and you will get plenty of use, so is great value for money. As I mentioned earlier if you are a fake tan lover defiantly check out the body scrub to help prep! Have a great week and thank you so much for reading!